As much as I love my liquid matte lippies, I used to dread the thought of removing the residue each time. Sometimes I felt like I needed industrial strength cleansers to get rid of it. It wasn’t just time-consuming, but also when it wasn’t done well, I would end up staining my clothes, teeth and skin! That’s when I began to put a few beauty experiments to the test. 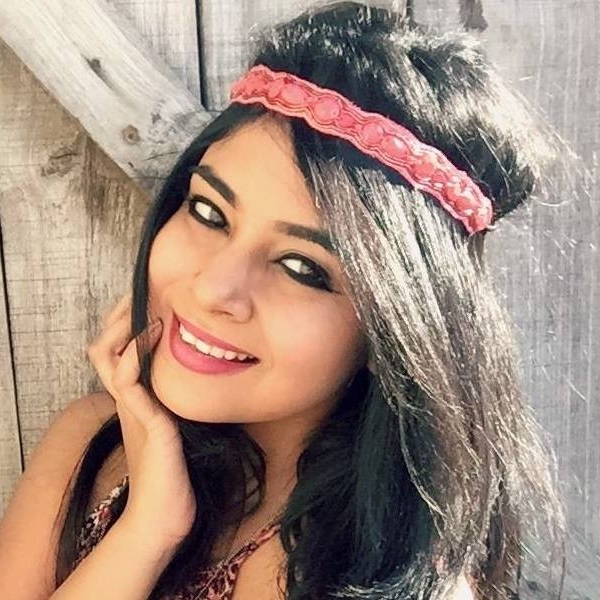 After much trial and error, I found a few ways to remove stubborn liquid lipstick stains and marks with minimal effort. Why don’t you check them out and tell me if they work for you too? You don’t have to worry about removing your lipstick when you have a lip balm by your side. All you’ve got to do is swipe some of it over your lipstick and leave it on for a couple of minutes. This breaks down the pigment to some extent. Then, use a rough tissue or towel to scrub the balm off and ladies, this makes it a double whammy! If you’re ever in a situation where you can’t find your make-up remover, simply head to the kitchen and pull out an olive oil bottle. Dip a cotton ball into the oil and gently dab it over your lips. 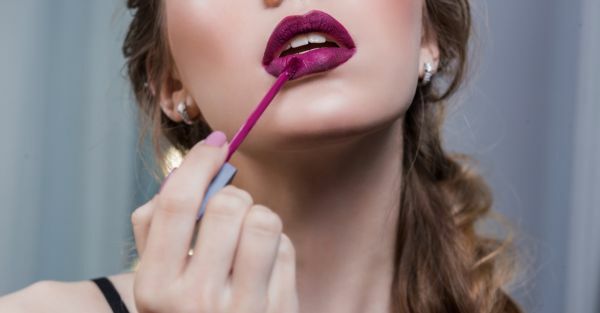 While doing this, you’ll notice that the oil instantly removes the lipstick stains like a pro! Hey? Did we mention that it’s inexpensive too? 3. Have You Tried Using A Micellar Cleanser Yet? Micellar water does not damage or dry your lips out but keeps them moist and nourished. Use a cotton wipe soaked in micellar water to remove your lipstick. It works like a charm when getting rid of tough lip stains. Apart from using the cleanser to remove lipstick residue, you can also use it to remove eye and face make-up? Yep, it’s pretty awesome that way. 4. Or An Oil-based Make-up Remover? When in doubt, pick an oil-based make-up remover! The kind that does not contain any chemicals. Use a remover pad or wet a paper towel and gently wipe your lips in a circular motion. When doing this, be careful about the liquid getting into your mouth! Stuck somewhere without a remover? No worries! To quickly remove that lipstick stain, apply some chapstick to your lips. Then, take a new toothbrush and gently scrub your lips in tiny circles. Use a dry cotton wipe to clean your lips and keep them dry. You’re about to witness magic if you do what we say. 7. Long Live Petroleum Jelly! 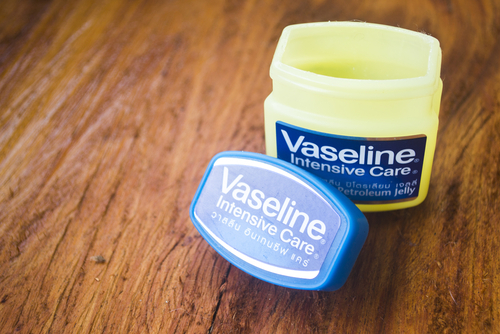 To avoid damage to the lips, we suggest that you give Vaseline a shot. This humble jar won’t only remove make-up, but it will also keep your lips moist, supple and baby soft. After applying petroleum jelly onto your lips, let it sit for a few minutes. Use a warm cloth to wipe the residue off. Once you’ve taken off the colour, apply another layer of Vaseline so that your lips stay hydrated and protected.